Create your own question and answers site within no more than 10 minutes. Easy to customize and manage this question and answers clone script will help you build a website that will amaze the community and do you wonders. Flippy Answers will help you put up a questions answers site with as many categories as you like and would drive you lots of traffic. If you are looking to buy questions answers website clone script, then Flippy Answers will do you the job. 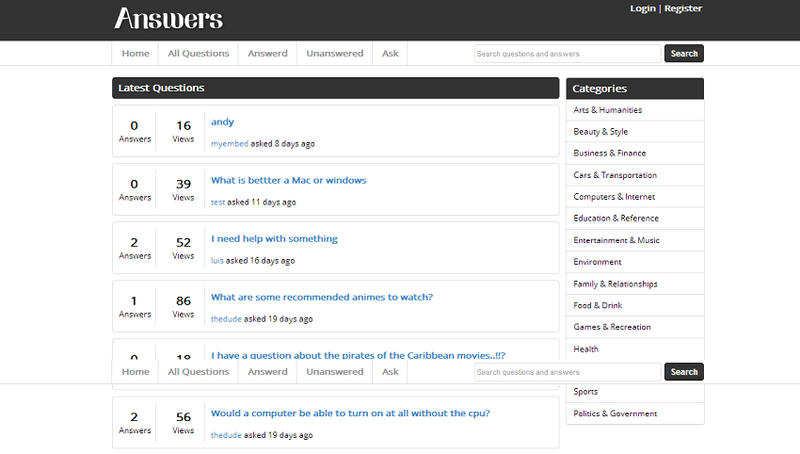 Create your own community based question answers site similar to StackOverflow or Yahoo Answers. This is one of the most popular sites question answers script that has been used by 5,664 sites until now.